Germany beat Sweden, 2-1, in the second round of group play at the World Cup with a gorgeous free-kick goal in the final minute of stoppage time. The match had huge implications as a win by Sweden would have secured their spot in the knockout stage and eliminated the defending World Cup champions. 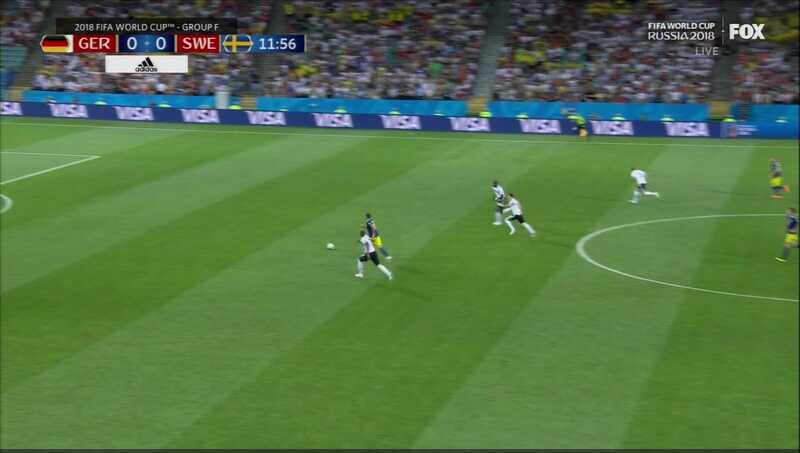 Sweden was robbed of an excellent opportunity to win or draw the match when the referee missed a blatant foul in the penalty area early in the first half. Despite the use of VAR at the World Cup, the play was never reviewed. Germany beat Sweden, 2-1, in a crucial Group F match at the World Cup on Saturday and a missed call may have cost Sweden a huge shot to upset or draw with the defending champs and secure a place in the knockout stage. In the 12th minute of the match, the referee appeared to miss an obvious foul on Germany in the penalty box. 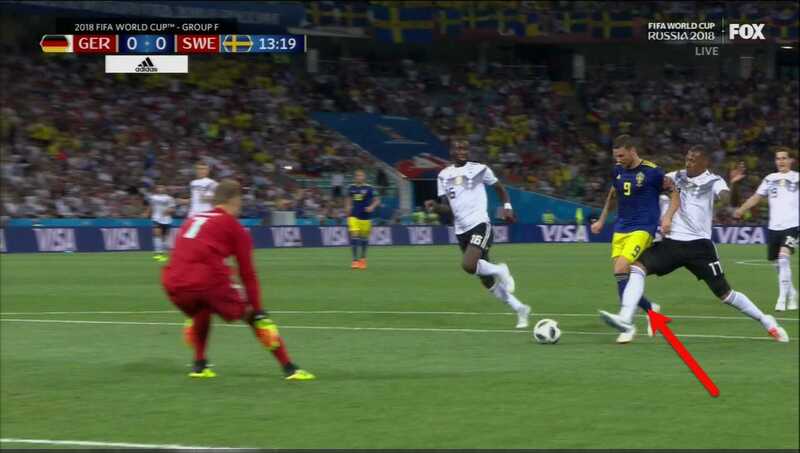 Despite the use of the Video Assistant Referee system (VAR), the play was not reviewed, and Sweden was not awarded a penalty kick. 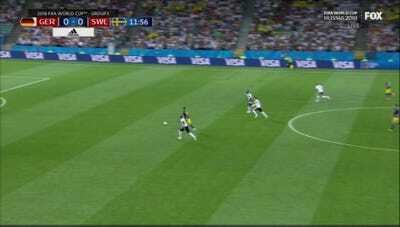 The controversy came when some sloppy play in the midfield by Germany led to a turnover and a breakaway for Sweden. Marcus Berg got behind the defence and appeared to have a one-on-one situation with the keeper. 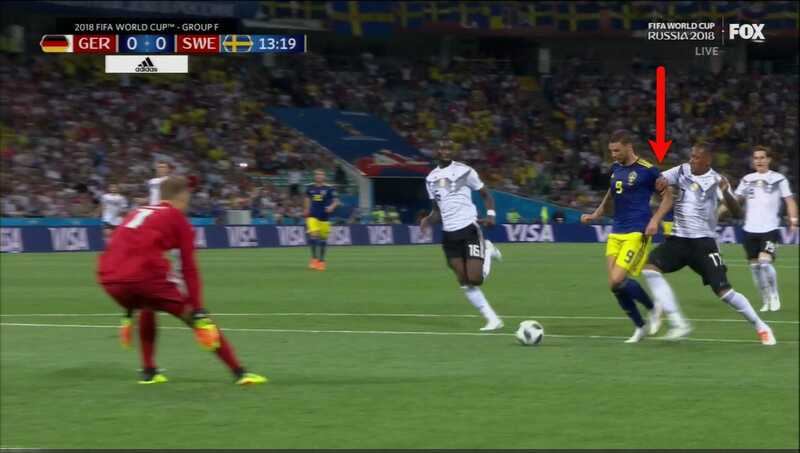 But just as Berg entered the penalty area, German defender Jerome Boateng clearly grabbed Berg from behind as he tried to simultaneously make a play on the ball. But with the ball on Berg’s right side, Boateng did not have a clear path to the ball. Not only was Boateng still grabbing the arm, he also appeared to make clear contact on Berg’s left leg. 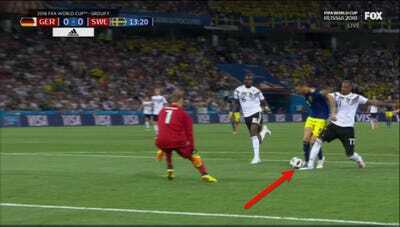 To make matters worse for Boateng, he never made contact with the ball as it was out of his reach. Boateng then appeared to push off with his right arm, sending Berg flying forward just as he was about to strike the ball. Despite the use of VAR, a signal was never sent to the referee to stop action and review the play. Boateng appeared to get away with several acts that could have easily been called a foul. According to Fox commentator Stuart Holden, it was an obvious foul. Here is another view from the side. And here is the video from Fox. Sweden did later take a 1-0, but Germany equalised early in the second half at a time when the score could have easily been 2-0. The Germans then won the match with a stunning goal in the final minute of stoppage time. A win by Sweden would have secured their spot in the knockout stage and would have eliminated Germany. A draw would have kept Germany alive, but they would have been on life support with one match to play. Instead, a 2-1 win gave Germany an excellent shot to advance to the knockout stage with one round of matches left in group play.